9 pools on a scale of 20,000 square meters! 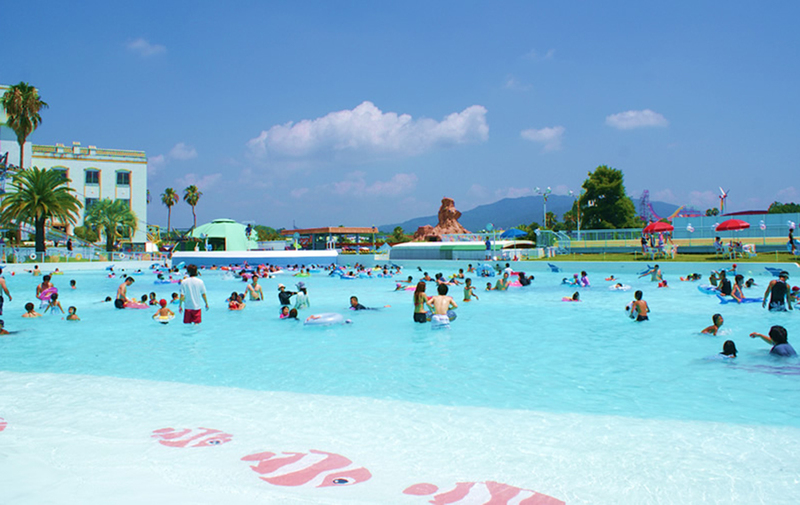 With “everything you need to have fun” as its concept, an outdoor pool park has been opened inside a big resort area! 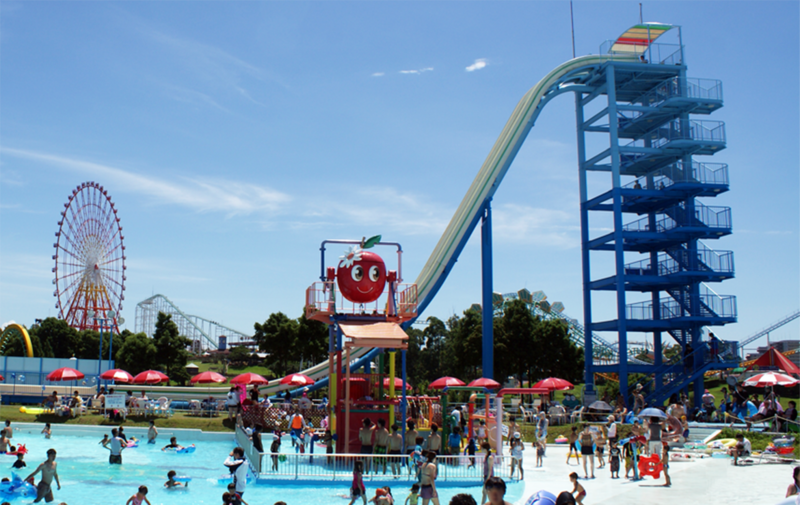 The dynamic slide boasts to have the largest slope and height in Japan is quite popular! A wave pool, flow pool, etc. are available for children to adults to enjoy during the summer. A great location located in the center of Kyushu, excellent access from all over Kyushu! If you have a tattoo, please wear a swimsuit to fully cover your tattoos. T-Shirts/towels are not allowed to keep the quality of the water. A pool that generates 1 meter waves using German technology. Water guns, slides, water buckets, etc. Height of 23m, 60 degree slope, 60km/h fall, Japan’s largest sloping water slide! A little thrill, great for children! Only kids under elementary school can use. Parents must accompany infants. An area made of balloons, featuring the aqua roller.